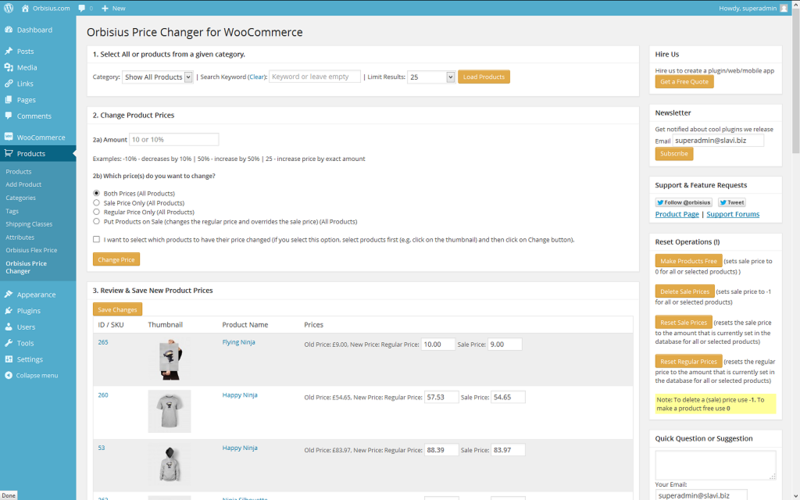 This premium WooCommerce extension allows you to change product prices (up/down) for all products or for a selected category and its subcategories. This plugin directly modifies the products' internal pricing fields. If you've purchased Flex Price before, you may be entitled to a discount as this plugin provides similar functionality but uses a different approach. * Refactored CSV module ... added CSV reading + smart header skipping. * Improved search filter to filter out by product ID or comma separated product IDs. * refactored code ... added actual product prices for the vars too. * Fixed an issue with the checkbox not being able to be selected ... only indirectly using the thumbnail. * Added custom CSS/JS box. Good for customization. Setup WordPress site in seconds? No way! Don't believe me? Visit qSandbox for more info.